It is Saturday afternoon here in South Africa. It’s hard to believe that I have been here for one week already: time is flying by…guess I must be having fun! SANCCOB has been an amazing experience so far. I can’t believe how much I am learning about penguin husbandry, the ups and downs of a rescue center and penguin stuff in general. It doesn’t hurt that I’m traveling with one of the Aquarium’s penguin experts either! Speaking of the Aquarium’s penguin expert, Paul had to work today. Usually volunteers are given a weekend day off but because Paul is here at SANCCOB for such a short time, he is pulling double duty. Looks like they put him to work! I on the other hand do have the day off. It was hot earlier this morning but has cooled down thanks to the ever present summer breezes. 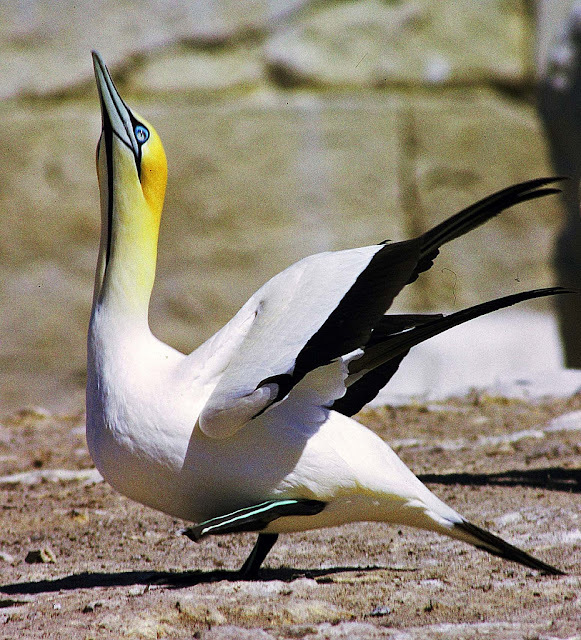 Between the temperate climate and the location, lots of different bird life to make its way to South Africa's southern coast. 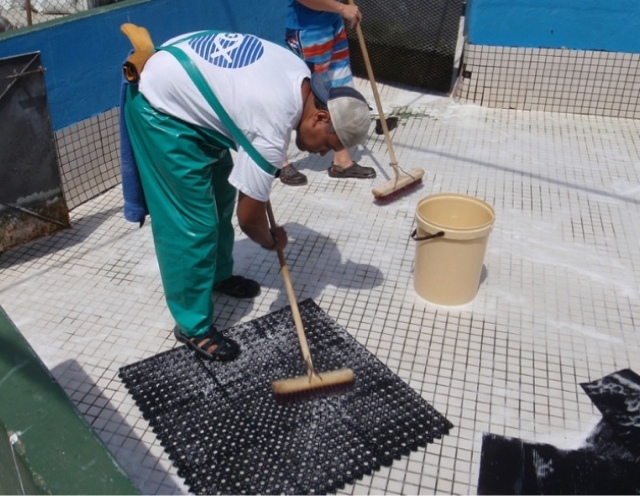 And while many associate SANCCOB with rescuing African penguins, they are committed to helping all sea birds and have many different species at the center (the COB stands for “Coastal Birds”). 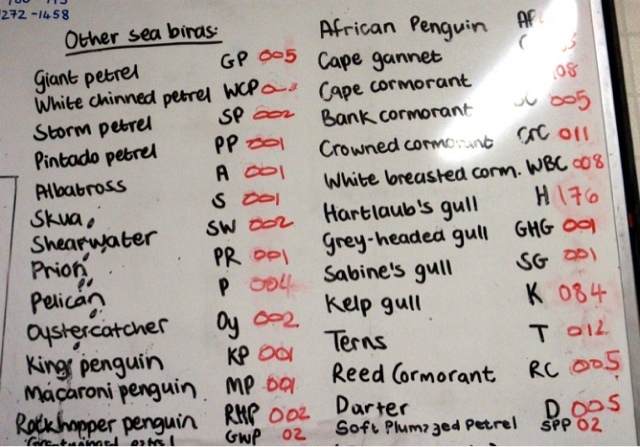 As each bird comes to SANCCOB, the staff identifies the species and then gives it a unique code to track it while it’s at the center. Usually it is a simple abbreviation of its name and a number. 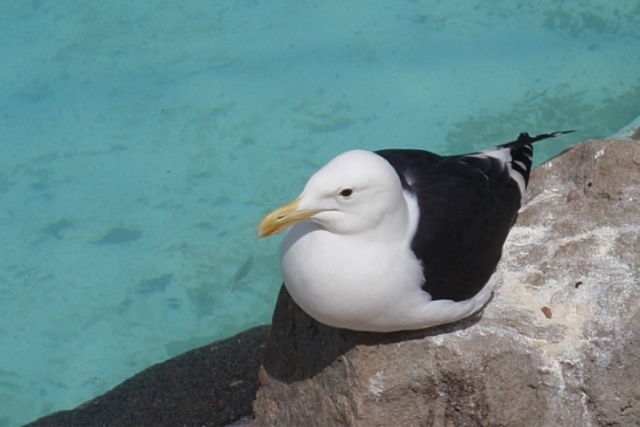 This way they can also track the number of times that type of bird has come through SANCCOB in one given year. So far, they are up to 408 African penguins and lots and lots of other species! 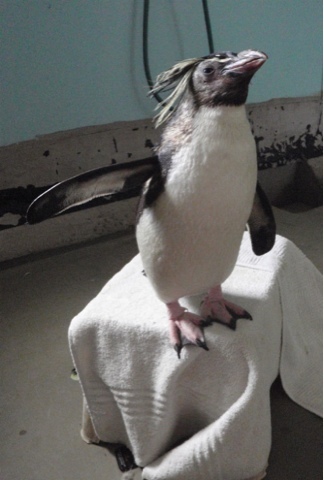 As with the African penguins, the goal is to release these animals back into the wild. Just Tuesday, SANCCOB released a giant petrel back to the ocean. It was quite the accomplishment-most giant petrels do not survive even a few days in rescue centers. 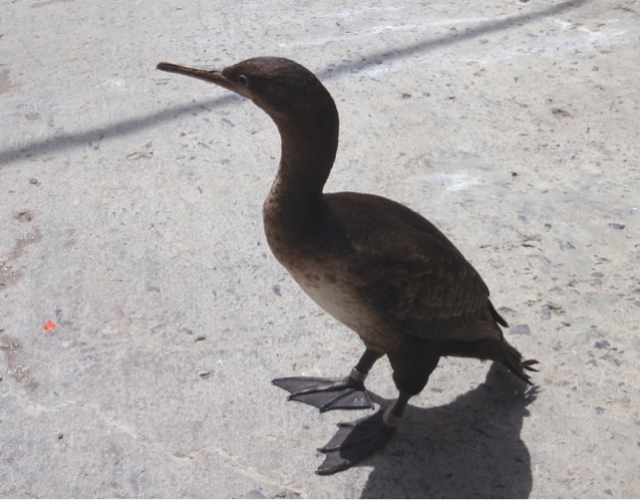 But SANCCOB kept the bird for a month, rehabilitated it and then released it. Amazing! But when one patient leaves, another one comes in. 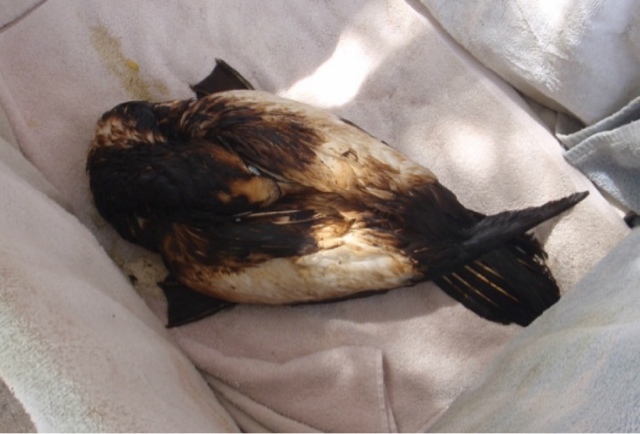 In the past couple of days, a gannet came in badly oiled and only time will tell what will happen. But fortunately he is in good hands at SANCCOB. In addition to the gannet, there are several gulls, terns and cormorants here. There is even a rockhopper penguin that washed up on the beach of South Africa, a far way from home (more on Rocky in the future). Many are part of the permanent collection at SANCCOB due to their various lingering ailments or wayward travels. Some others will hopefully will be released soon. So it’s never a dull moment at SANCCOB—you never know what type of animal may walk through the door! So it’s not entirely all about the African penguins here at SANCCOB. 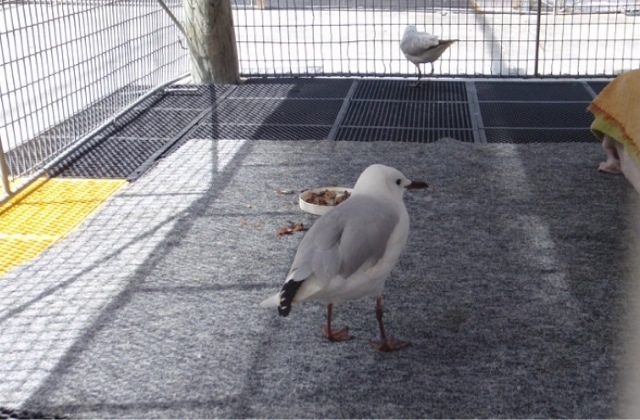 The staff and volunteers do a great job at taking care of all sorts of sea birds. Thank goodness! How did Rocky end up in South Africa if he can't fly? or can he??? How do you know he's a he?